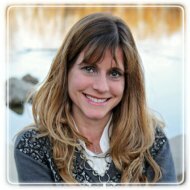 Yorkville Therapist: Angela Rene Brown - Therapist 60560. Anxiety, Depression, Developmental and Cognitive Disabilities, Asperger's, Autism, ADHD, Oppositional Defiant Disorder and behavioral challenges. Send A Message To Angela Rene. In the journey of life, storms occur in our path that may throw us off course. Some of these challenges, transitions & adjustments can be difficult to navigate. Past storms can also keep us from moving forward in life. I believe in the capacity of every person to live a joy-filled, empowered life. I enjoy walking alongside my clients, for a time, to assist them in reclaiming their life. At times our children also need extra guidance to navigate through life's storms. Together, we can work with your child and help them develop coping and/or social skills; developing a stronger sense of self. I have over 20 years of clinical experience working with those struggling with issues such as anxiety, depression, dealing with a loved one's addiction, disability and/or chronic illness, Asperger’s, autism, developmental and cognitive disabilities, bipolar disorder, ADHD and behavioral challenges. I offer Gottman Method couple's therapy. Helping couples learn skills and identify issues that create conflict and emotional pain allows couples to have deeper connection and understanding and a more joy-filled marriage. As a counselor, I offer a strength-based, empathetic approach toward therapy; providing support, and constructive feedback to help my clients gain insight. I am committed to helping my clients achieve their goals and become empowered to become their best selves. I am a member of the American Association of Christian Counselors. There is peace and serenity in understanding Christ’s grace-filled message. If you choose to, together we can journey into the depth of God’s love for you and work to strengthen your experience with Christ.